Babblings of a Mommy: LOVE It or LEAVE It--Beauty Products. LOVE It or LEAVE It--Beauty Products. These past few weeks I've been trying out a few of the drugstore products that I recently bought. Let me tell you which ones I loved and and which ones will mostly get tossed out or collect dust. I know I always complain about my thick frizzy hair but you guys just don't understand how untameable it is sometimes. I tried this out and I don't know what they put in this stuff and quite frankly I don't care, because it made my hair look and feel amazing! Plus the smell is UN-believable. I've never been a Pantene fan till now. Garnier Fructis Sleek & Shine 3min Masque. It smelled good-- I'll give it that, but other than that it didn't do anything. I tried it several times in different weather conditions and nothing. I didn't notice a single difference with my hair. Maybe you have to use it with their complete system or something, but I wasn't impressed whatsoever. Cologate Pro Clinical Daily Cleaning. The best toothpaste evah! 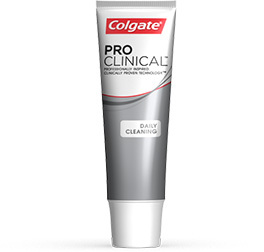 The consistency it really soft and creamy and yet it leaves your teeth feeling super clean and polished. The mint is nice and fresh and not too strong. 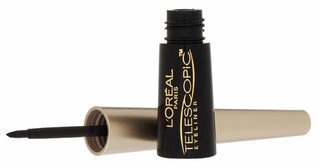 L'Oreal Telescopic Precise Liquid Eyeliner. This is about the worst liquid eyeliner I've ever tried. I'm a bit disappointed because L'Oreal is the only drugstore brand I'm really loyal too, but they really dropped the ball on this one. The applicator tip is horrible and the consistency was really watery. Have you tried any of these products or have you recently bought something that you LOVED or HATED? Share with me! Good to know on the eyeliner. One to avoid. Thanks. I need to get out and get a new liquid liner and its great to know which one to avoid. I may just have to try the shampoo also.